Saunf refresh the mouth. Saunf contains copper, potassium, calcium, zinc and manganese. It also contains vitamin C, iron, selenium and magnesium. However, saunf water is more beneficial. Saunf removes gas. Saunf contains such nutrients that keeps body healthy. Saunf contains calcium, sodium, iron and potassium. 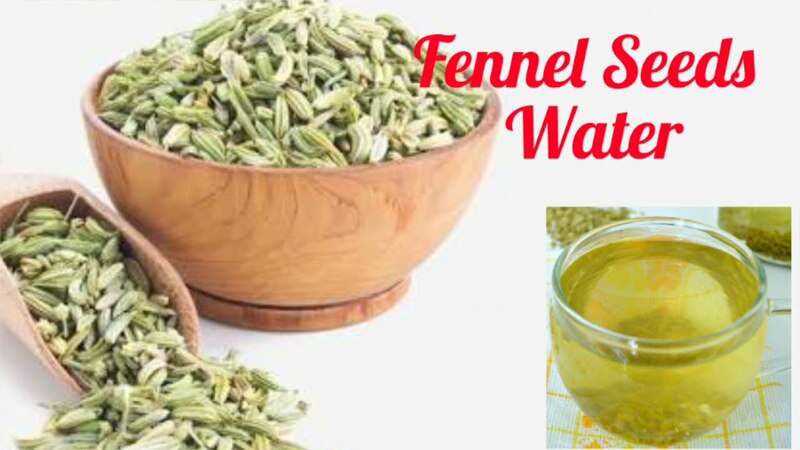 Fat Burner: Fennel water is very useful in fat reducing. It is considered a good fat burner. Drinking fennel water with empty stomach easily reduce the stomach. You can see the results in 15-20 days. Blood Pressure: It contains potassium that automatically controls blood pressure. Saunf water also avoids mouth odor. Stomach: Saunf water is extremely beneficial in constipation, indigestion and other stomach problem. Drinking saunf water avoids stomach problem. It has plenty of fiber that avoids stomach problem. Cancer: Saunf has anti-inflammatory property that avoids every type of cancer. It is beneficial in breast cancer and stomach related problem. Heart: Saunf has plenty of vitamin C. this increase immunity power of the body. Also, protect the body from infection. Saunf reduces the cholesterol of the body and keeps heart healthy. Period: Saunf avoids pain during menstrual and regulars the menstrual cycle. Women should drink saunf water during periods.